I returned home last night from the Port Townsend Writers' Conference. It was a great week of workshops, craft talks and readings. I spent six days in the workshop of the poet Carl Phillips who had many things to say about kinds of repetition and pattern in poetry. The drafts of poems I brought to class are better for his comments. In my workshop, I met some great queer writers including Ian Sherman and Steven Rydman, although not many among the sixteen of us were LGBTQ. I am grateful for places like the Port Townsend Writers' Conference for giving writers a place to meet one another, learn from a wide array of faculty, and generally providing a space for members of the writing tribe to geek out. Not everyone shares a writer's sensibilities. For example, the day I returned home I attended a BBQ in Bellingham in which a gentleman recounted how an aggressive duck would take bread right out of his hand. I said, "Be careful, you are going to end up like Leda and her Swan." Blank stares ensued. After I offered an explanation, there may have been mumbling about "useless pieces of information." I am not saying that all writers need to know their Greek mythology, but the chances that someone else will get the reference will be much higher among those who write. There were many highlights to this conference including the poet Dorianne Laux reading a hilarious poem she had written about Dolly Parton. She said, "If you are going to write about breasts, you may as well go for broke." Also, hearing a sizzling reading by the poets Cate Marvin and Erin Belieu who are also the founders of VIDA: Woman in Literary Arts. A writing retreat is a great place to be, but it doesn't guarantee that you will come away from it with a stack of new work, a book deal, or the solution to the obstacle that has been holding your manuscript back all these years. A writing retreat creates a space for you to write. The hard part is realizing that what you put into that space is exactly what you will get out it. There are many people to meet and talk to at writers' retreats. You could spend most of your time socializing (and I did spend a good deal of time doing just that). You could visit from one cluster of writers to the next and never put pen to paper. A writing retreat is not a magical solution to your writing problems. But it does give you the one thing all writers complain about incessantly...time. Writing retreats and conferences give you time away from your job, your family, your school work and the distractions of life to focus on your writing. Most of us lead busy lives and are always trying to carve out a piece of the day to do something more. 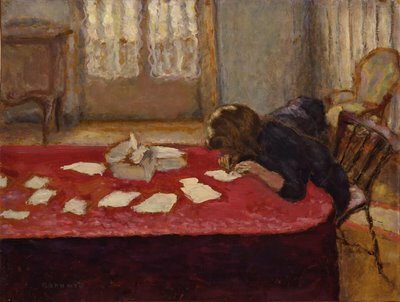 If nothing else, a writing retreat allows a busy person to have more than an hour a day in which to labor upon the page. Take some time today to spend with your own work. What writing project has been collecting dust, is stashed in the back of a drawer, or languishing in a lonely computer file? Take a moment to take it out and look at whatever it is that needs your attention. No, really look at it. Go and get it. Now schedule to spend some time with it this week, no excuses. Carve out some time to let yourself work. Let this be your own writing retreat, even if only for thirty minutes at a time.